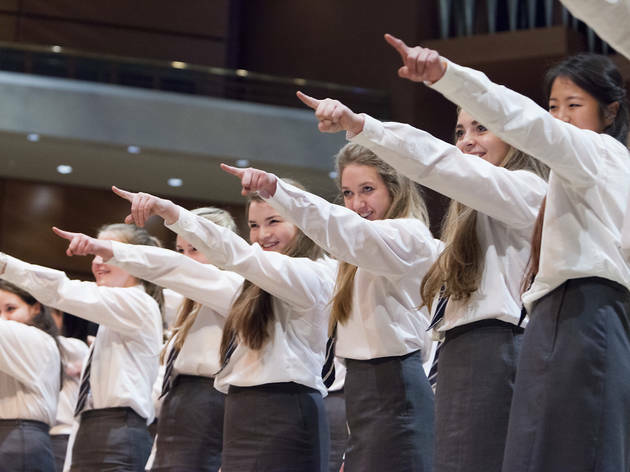 They've been whittled down from more than 5,000 singers in 138 choirs around the country, and now it's the big sing-off: six category winners battle it out for the lofty title of Choir of the Year. Will the jury go with the 'ahhh factor' of the Lindley Junior School Choir, winners of the children's category, or be won over by the experience of the Ysgol Glanaethwy Senior Choir from Bangor? The Oxford Gargoyles sound less appealing but may prove to have angelic voices that could win out over the Surrey Hills Chamber Choir, Methodist College Girls' Choir from Belfast or Sirènes from Glasgow. It's on BBC Four on Nov 13, but the live event also offers an opportunity to join a vocal workshop for all from 1-2.30pm, as well as experience the thrill of the competition.